I am pretty sick of hearing about man caves, so I say move over man caves, bring on the she sheds. Can you say SWOON? If I had this "shed" I might never enter the house again. I have always been a firm believer that I was meant to have an English country garden. My family should never have left "Old Blighty". They failed to look into the future and ask me my opinion. 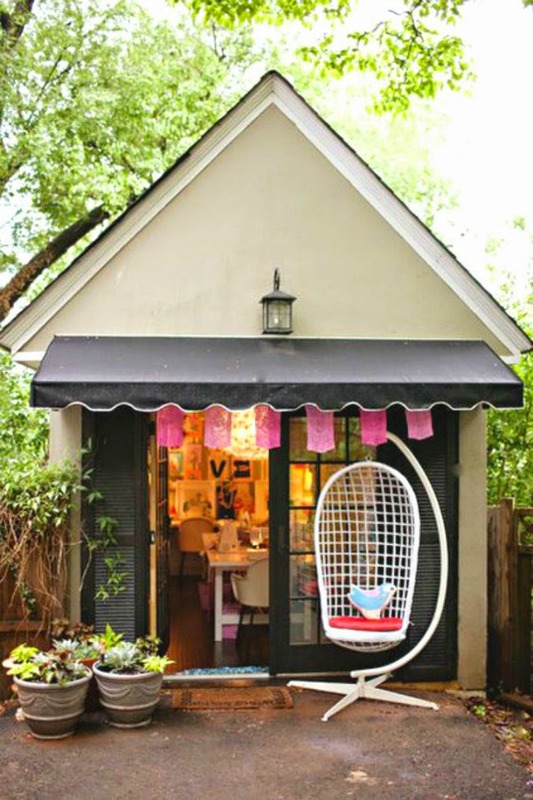 Wouldn't it be wonderful to take your sewing outside into a dedicated shed just for that purpose. It might put me back in the mood. 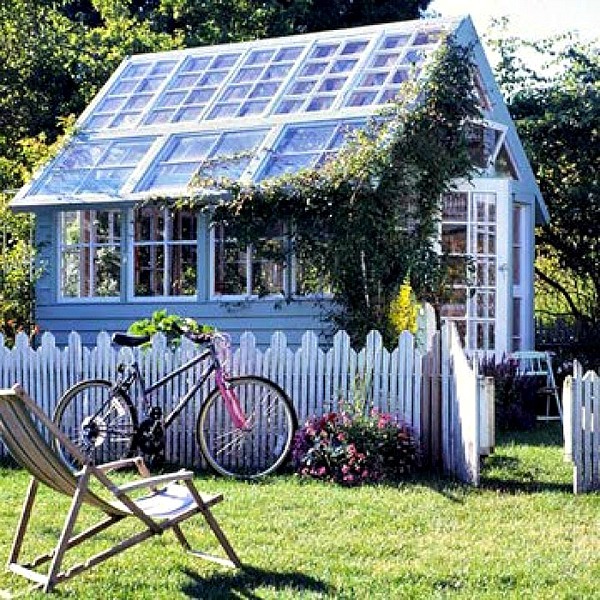 I would love to have a backyard greenhouse (if I had a backyard) and if it was also a she shed getaway, that would be even better. So what do you think? Is it ever too early to start thinking about spring. Do you get those seed catalogs out early. 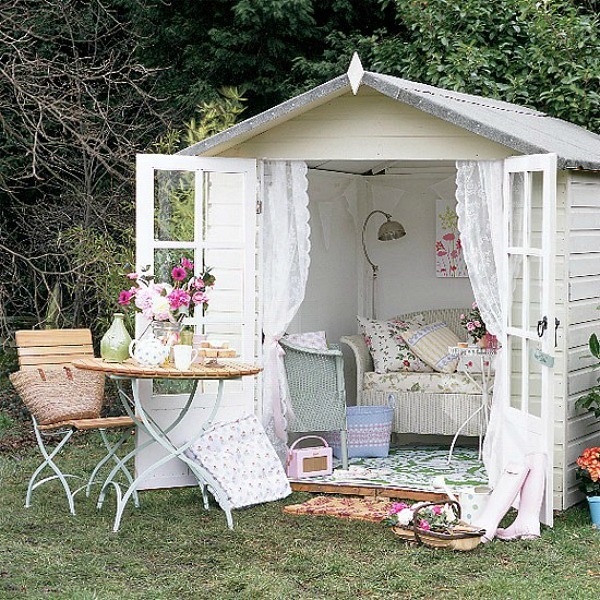 Would you love to have a she shed as much as I would? P.S. 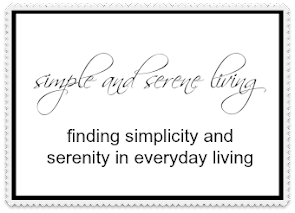 Thank you so much to everyone who left comments on my Friday post. Mom and I both appreciated the stories you shared and your sweet words of encouragement. 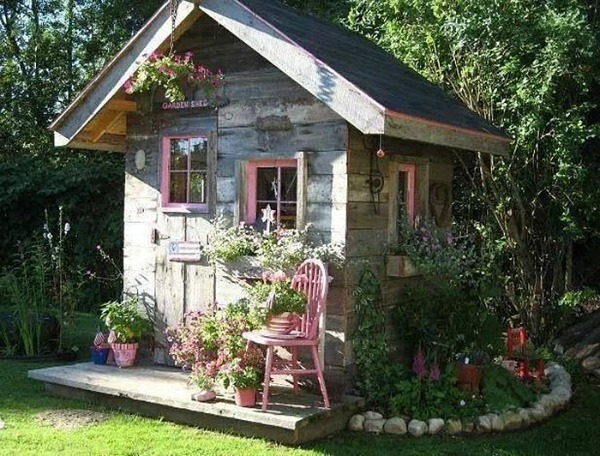 i love the little gardening sheds and would love to have one! Just so sweet and special. I love how each one has a unique personality, Linda. So many possibilities. Laura - Those are all so cute. Wouldn't it be great to have one? These are pretty sweet, Laura. I'm such a downer when it comes to outdoor living because all I can think about is bugs. Yes, bugs, spiders, earwigs, creepy crawlies, ants. You name it. They'd be hiding in every nook and cranny of these sheds with their sweet decor waiting to surprise me. The idea is sweet and cute but my reality is fear of what's lurking in them. LOL I love # 1 and 4 but the one with the awning looks like it would be built to seal out bugs. :) Have a great week Laura. Keep dreaming of spring. It almost feels like it here today. I love your response, Pamela. I am not a fan of spiders, but if they stay out of my house I don't worry too much about bugs. 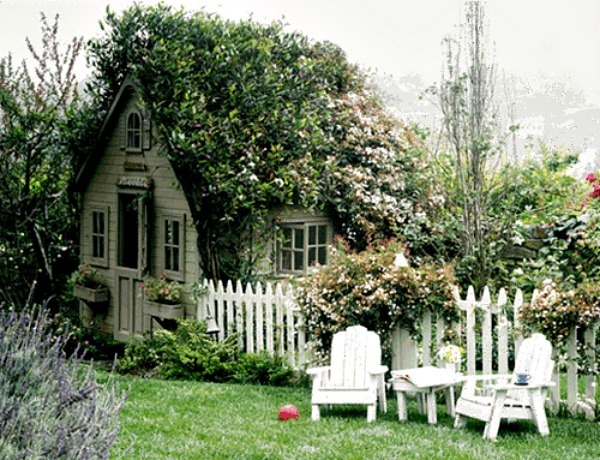 Those garden sheds are so cute. My sister wants one of those. I'm with your sister, Kelly. That little playhouse you have would make a perfect she shed, Diana. I've seen these before and just LOVE them! Me too, Kim. I would definitely want one that incorporates a greenhouse. Shoot, I could put a couple together and happily live in them! I was thinking the same thing, Brenda. I'm with you too, let's think of Spring and build one of these darling homes!! Wouldn't it be fun to get together and build one, Jemma. Ohhhhh Laura what beautiful sheds. That first one is my fave. I could just live there too!!!!! Swooning. Oh Laura... I am in love. I will have to put a she shed on my Christmas list!! These are all so lovely! I don't think my little garden cottage will ever look like this but I did just order two new shelving units for it so at least I can make it super organized!! That's a start! BTW - I think I love the one with the pink trim the most....swoon.